Bangalore: India’s largest telecom company, Bharti Airtel Ltd has joined hands with equipment maker Cisco Systems Inc. to offer video and data services to firms on a pay-as-you-use model, a move that could act as a buffer against the decline in revenue per mobile phone user. The move reflects Bharti’s increased focus on business from enterprises. The company’s multimedia unit and Cisco have formed a team that will build low-cost processes to be offered as managed services, a term for complete solutions, to small- and medium-sized companies. 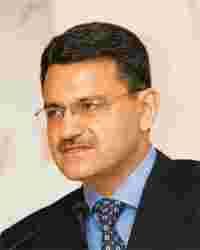 The Indian market for managed services is expected to grow to $4 billion (Rs18,800 crore) by 2013 from $1.1 billion in 2009, according to a study by Cisco, said Manoj Kohli, chief executive of Bharti Airtel. He said this did not include the potential of so-called cloud-based services, or software provided over the Internet. Both firms did not disclose the revenue-sharing model of the new venture. Cisco will also offer its high-end video conferencing service, Telepresence, through this alliance. The firms will also tap education, healthcare and e-governance opportunities. “We need to build products in a new price point. We can’t bring the solutions for the West, where ARPU (average revenue per user) is around $70. For India, ARPU is $4-5," said Wim Elfrink, chief globalization officer of Cisco. The same model could be replicated with other equipment vendors and telecom service providers, said one analyst. “Airtel can build solutions to retain higher ARPU-generating enterprise customers. And for Cisco, the service provider becomes a channel," said Sridhar Pai, chief executive of Tonse Telecom, a consultancy and research firm. K. Srinivas, joint president for multimedia services at Bharti Airtel, said the firm had the ability to collect small amounts as fees due to its network of centres across the country. Naresh Singh, principal research analyst at Gartner Inc., said that while Bharti, which is known as a connectivity provider, would build its capability in providing solutions, the alliance could pose challenges for Cisco. “Cisco may have issues selling its equipment to another service provider," he said. Particularly “if they are seen too close with one of their competitors". On Tuesday, Cisco’s rival in switches, Nokia Siemens Networks, said it had won a contract from Unitech Wireless Ltd to help the firm provide high-speed mobile data services.